What Do Others Think About Rite Aid? 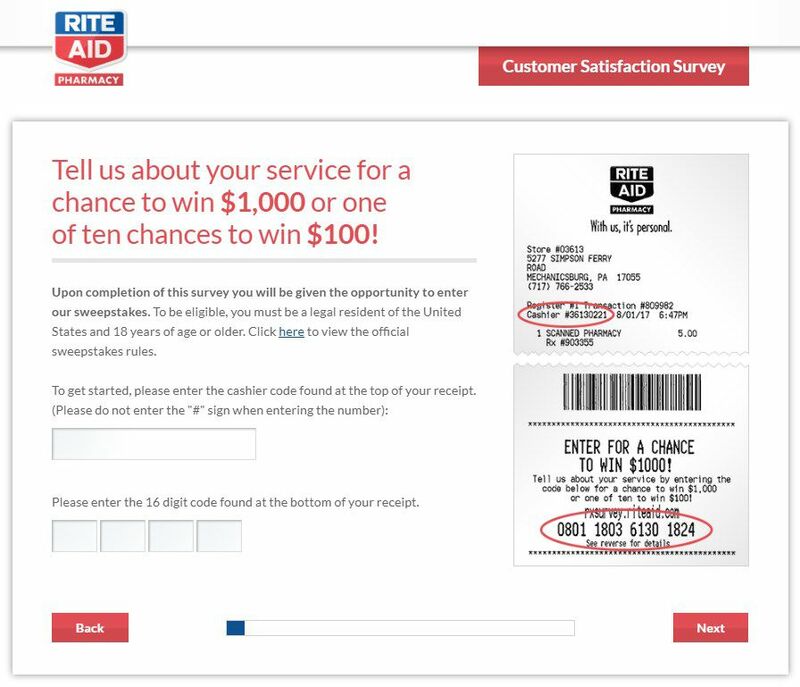 If you like, you can have a read of the official Rite Aid Survey rules on this PDF. How easy were you able to find what you were looking for in their store? If you required assistance, were you easily able to get it? How friendly was the staff member who helped you? How was the speed of the checkout? Did you cashier thank you for shopping at their store? 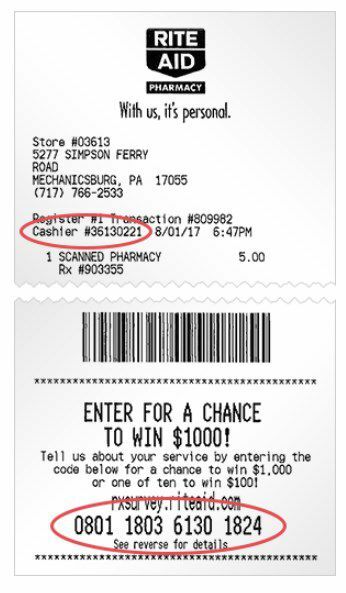 Based on this experience with Rite Aid, how likely is it that you’ll go back in the next 30 days? Would you recommend this particular Rite Aid store to family and friends? 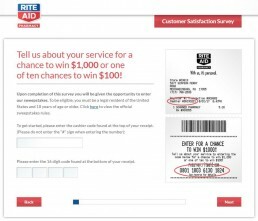 Is there anything Rite Aid could do on your next visit to improve your experience? Rite Aid is a huge drug store chain which was founded back in 1962 in Scranton, Pennsylvania. It’s actually the biggest drug store in the east coast and the third largest in the whole of the US. They’re known for their super cheap prices and a massive range of products. 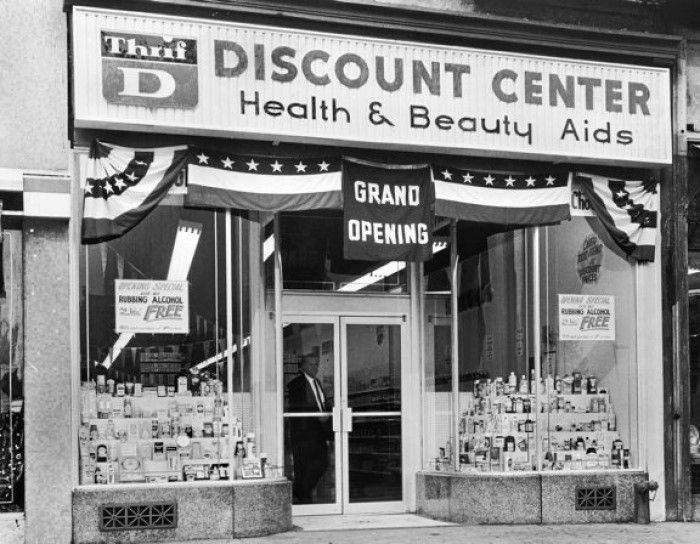 When the company first opened it was known as Thrift D Discount Centre, it wasn’t until 1968 that they took on the name Rite Aid. Its founder was Alex Grass and three years after opening their first store they had expanded into 5 more states. By 1972 they had stores in 10 states and 267 locations and nine years later they made their first billion dollars (still waiting patiently to make mine as I write this). In 1987, their 25th anniversary, they picked up 420 new stores giving them over 2,000 locations across the country. They spent a lot of the 90s buying and then selling a bunch of stores, the most notable was that of Thrifty PayLess who had 1000 stores based in the west coast. At its highest point, they had over 5000 stores in 2008. As of today, they have 2550 stores, a significant drop which is mainly due to Walgreens purchasing 1,932 stores from them in early 2018. The company has a rewards program which is free to sign up to. It’s your pretty standard loyalty program that rewards each dollar you spend with one point. Prescriptions get you more bang for your buck and you can earn up to 25 points. When you reach 500 points you get to claim a reward. The rewards are all different and can range from things such as $25 gift cards for your favorite restaurant to magazine subscriptions and even gym memberships. The site makes you log in to see how many points you must redeem for each reward. I know from experience a rewards program is an fabulous way to improve the feedback customers leave on surveys. The company has a bunch of giving back incentives which all go through the Rite Aid Foundation. Over the years they’ve donated a whopping $100 million to kids. They like to focus their charitable efforts on three key areas; kids health, community health and welfare – especially during natural disasters and their own workers’ wellbeing. Very recently, they donated an incredible $150,000 to assist with tackling the horrific wildfires that California had in late November, of which included $80k to the Red Cross. During Hurricane Sandy, they shelled out another $200k and even encouraged their customers to donate too leading to a $450,000 fundraiser! Their future has been a little bit uncertain of late and they’ve been in the press quite a lot. It seems that in today’s climate they are in search of finding a partner, so they can keep afloat, the problem is they keep finding them and then they keep backing out. They were pencilled in to team up with Albertsons but that kinda floundered, and the fact that Walgreens took a huge chunk of stores from them is making people worried. The likes of Amazon might also be a big threat to them as they are attempting to get into the pharmaceutical industry – is there seriously anything that they don’t want to get their hands on?! If social media isn’t for you, you can have a read of their FAQs here. Or, you can hop on a live chat and speak to one of their customer satisfaction team members. Lastly, if you want to contact one of their stores near you directly, use their store locator to find one.